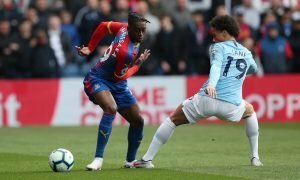 Crystal Palace looking to sign established England international | The Transfer Tavern | News, breakdown and analysis on all things football! Swansea City fans playing snooker in the Tavern may be interested to hear claims made by the Telegraph which link Crystal Palace with a January move for Jonjo Shelvey. 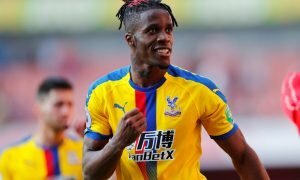 It is believed that Alan Pardew is looking for reinforcements to strengthen his squad, with Palace currently sitting in 7th place in the Premier League table, and reports suggest that he will be looking to make the 23-year old one such reinforcement. However, it is reported that Swansea chairman Huw Jenkins would be looking to earn around £10 million in any deal which sees the central midfielder leave the Liberty Stadium. England international Shelvey has fallen out of favour at Swansea and he was left out of the matchday squad for the trip to Manchester United after being criticised for his recent performances in matches and in training – something which may lessen the blow for the Swansea fans. 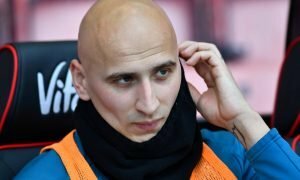 Shelvey, who worked under Pardew at Charlton Athletic, is keen to leave Swansea if he is unable to hold down a regular starting place for the Welsh side. Meanwhile, Pardew believes that he can inspire Shelvey to repeat the form that has earned him five England appearances this season and put him in contention for a place in Roy Hodgson’s Euro 2016 squad. Our landlord believes that with Shelvey out of favour at Swansea, a move to Crystal Palace will suit all parties. Crystal Palace fans, is Jonjo Shelvey the type of player that you want at your club? Let us know in the comments below!